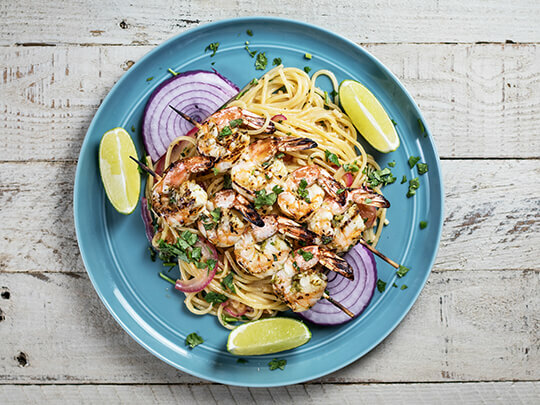 Shrimp in a tasty, light and fresh cilantro lime marinade that is grilled to perfection. Marinate the shrimp in the mixture of the lime juice, zest, oil, cilantro, jalapeno, garlic, salt and pepper for 30 minutes. Skewer the shrimp and grill over medium-high heat until cooked, about 2 to 3 minutes per side.